Nye Roofing & Home Improvements, LLC​​860-889-3494​ - Roofing new or repairs, siding, windows, remodeling kitchens, bathrooms, any type of home improvement. We are here to assist you with your needs. ROOFING, SIDING, REMODELING AND MORE. Nye Roofing and Home Improvements was established over 90 years ago by my grandfather, Howard Nye. After many years of his hard work, his sons, Howard "Bo" Nye,Jr. and Rollin "Butch" Nye eventually took over the business. 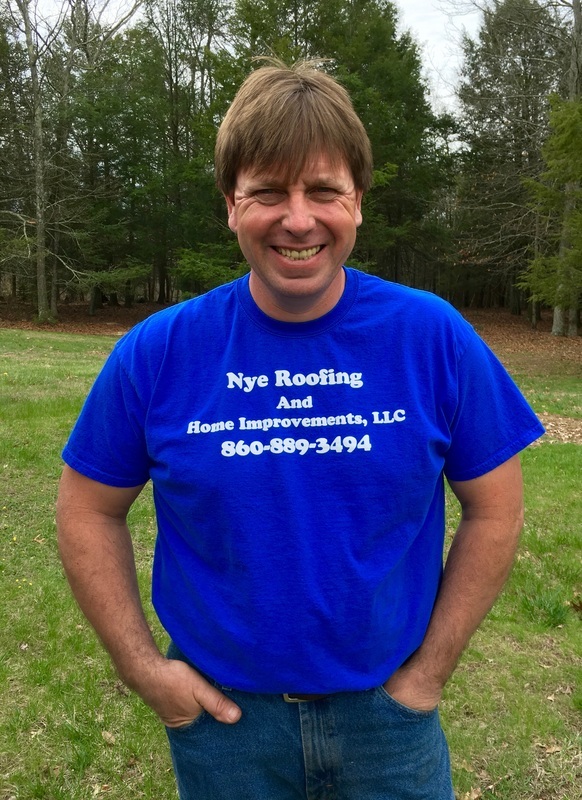 As soon as I graduated from the carpentry program at Norwich Technical High School in 1987, I joined them as the 3rd generation in this business, and have been actively involved with Nye Roofing and Home Improvements, LLC ever since. I recently took over as sole owner of the business, and I will continue to perform quality, professional work for you, the same way generations of my family have for others. I was taught to be a hard worker and a trustworthy professional, and I will carry on with this tradition. Many years of experience have allowed me to develop great relationships with suppliers of the quality materials that I use in all of my projects. Check out more photos on our gallery page. Call us today for a free estimate at 860-889-3494 or fill out the form below and we will contact you.